My new friends at Neiman Marcus in the Galleria here in Houston invited me to an intimate lunch celebrating the launch of the Diana Vreeland Parfums line. What made the lunch extra special (in addition to a certain high-profile Houston socialite sitting across the table from me) was that the creator of the line, Alexander Vreeland, grandson of Diana, was in attendance. First, a primer on Diana Vreeland. Quite simply, she’s a fashion legend. Vreeland started as a columnist at Harper’s Bazaar and eventually became editor. Later, she was editor-in-chief at Vogue and a consultant for the Costume Institute at the Metropolitan Museum of Art. 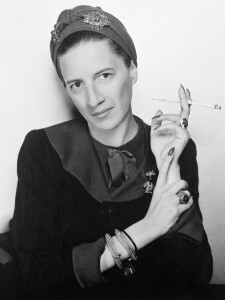 If you want to learn more about this extraordinary woman, I highly recommend watching the 2012 documentary Diana Vreeland: The Eye Has to Travel directed by Lisa Vreeland, wife of Alexander. Five years ago, Alexander Vreeland took over his grandmother’s estate. 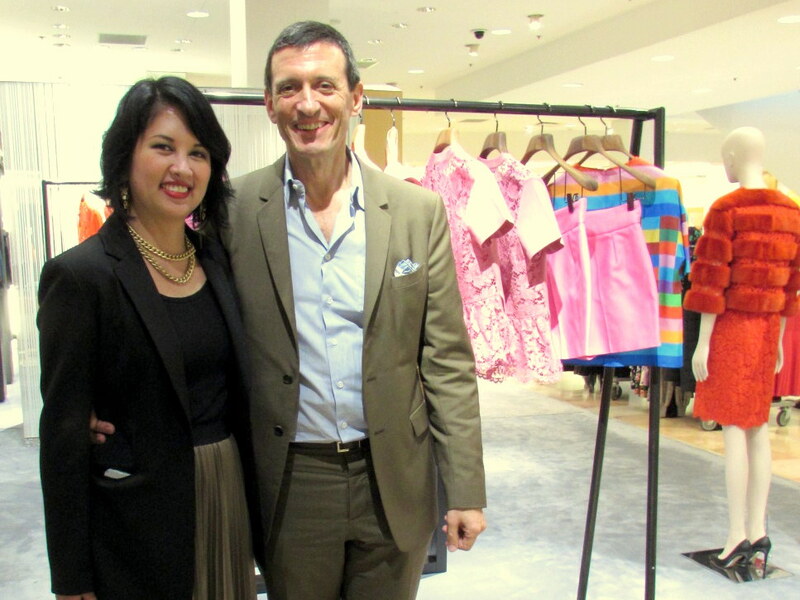 With 30 years in the fashion industry, Alexander is well-equipped to handle this big job. Alexander said that his grandmother would always say, “Take your time and do it well.” This line of fragrances exemplifies a high level of craftsmanship for which is grandmother would most certainly approve. For now, these fragrances are sold exclusively at 11 Neiman Marcus stores. The colored crystal bottles are works of art, made by Brosse, the same glass makers of the Chanel No. 5 bottles. Now let’s talk about the scents. Each perfume has a name inspired by Diana-isms and uses the finest ingredients. After trying all five scents, I can attest that they are each unique and intriguing. Perfectly Marvelous – jasmine, sandalwood, musk – This fragrance is perfect for those who gravitate toward oriental scents. Perfectly Marvelous is what my 24-year old self would have wanted to wear. Extravagance Russe – vanilla, bourbon, musk – Diana loved the ballet and had a fascination with Russia, hence the name of this fragrance. To me, this is the most unusual of the five scents — heavy and warm, something I’d want to wear in the winter — and suitable for both women and men. Simply Divine – tuberose, nutmeg – As a foil to Extravagance Russe, I find this to be the most feminine scent of the line. Very fresh, floral, and dainty. Outrageously Vibrant – cassis, patchouli, rose – A well-balanced fragrance, classic in nature. Sweet, yet bold. Absolutely Vital – Indian sandalwood, Turkish rose, Egyptian jasmine – Absolutely Vital is my absolute favorite. The rose counterbalances the sandalwood perfectly and has a woody tone that I like in a fragrance. I had the opportunity to ask Alexander his thoughts on selecting a signature fragrance. He said that American taste is growing more sophisticated. (Read this book for evidence.) People are beginning to collect fragrances and now women like to mix their own scents. In my younger years, I would only own one fragrance at a time, but now I do like options. At https://www.caladrius.com/levitra/ official website you can order Levitra online next day delivery. Each day, I choose what fragrance to wear depending on the weather, the season, my mood, and what I’m wearing. Scent is perhaps the most personal of accessories. If you’re ready to build some luxury into your fragrance wardrobe, then you must try Diana Vreeland. They really are Simply Divine! This entry was posted in Vanity and tagged Diana Vreeland, fragrance, perfume on February 7, 2015 by admin.